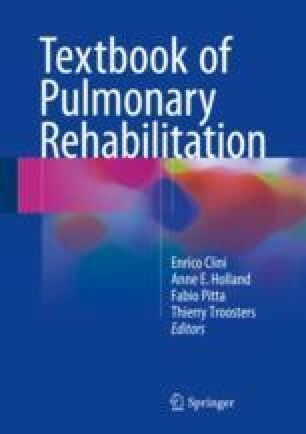 We will discuss the overall economics in pulmonary rehabilitation by taking chronic obstructive pulmonary disease (COPD) as a model because it is the most prevalent and incident chronic respiratory pathology [1, 2] in both western and developing countries  which is provided by a large and consolidated literature. What is available specifically for pulmonary rehabilitation will be addressed in a devoted sub-section. In general, all countries, even those characterized by evolved health models, took their first operational steps quite recently in the field of the “respiratory chronicity”, and of COPD in particular. National Heart, Lung, and Blood Institute. Morbidity and mortality: 2009 chart book on cardiovascular, lung, and blood diseases. http://www.nhlbi.nih.gov/resources/docs/2009_ChartBook.pdf. accessed 18.01.2010.